The new products will officially be available on the MFT online store on November 13th at 10:00 am EST (= Europe: November 13th at 4:00 pm CET). Most of the supplies I used for this project are linked at the bottom of this post. I heat embossed the sentiment using white embossing powder. The cute Santa is from the Here Comes Santa Claus stamp set. The background was sponged with Distress inks using the Geometric Stars stencil. Another really cute card, Francine! 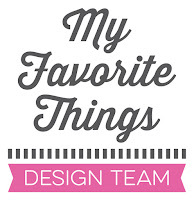 Love your beautiful stenciling on the background! The stencil is perfect for the background and you've colored it just right, and I like the font of your sentiment. 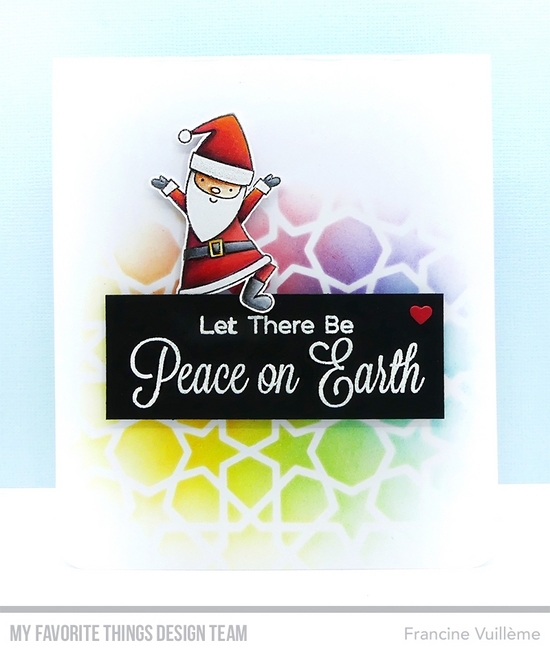 Love the rainbow inspired background and that Santa looks like he is stepping over the sentiment. Really cute Francine! Love how you placed Santa! Great card! It has a nice modern feel to it with a classic sentiment. The positioning of the Santa is so cute, and I love that colorful background! Santa says it all! Wonderful colorful card! Santa says it all=-what a wonderful, colorful card! So CUTE! I love how Santa is popping off the sentiment!